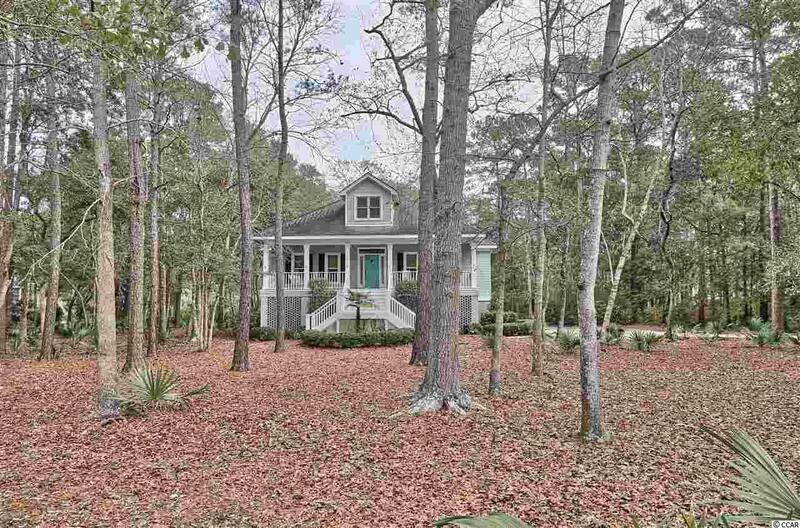 213 Old Carriage Loop, Georgetown, SC 29440 (MLS #1902854) :: James W. Smith Real Estate Co. THIS COULD BE THE HOME YOU HAVE BEEN WAITING FOR - Much sought out beachfront DeBordieu Colony located between Pawleys Island and Georgetown! 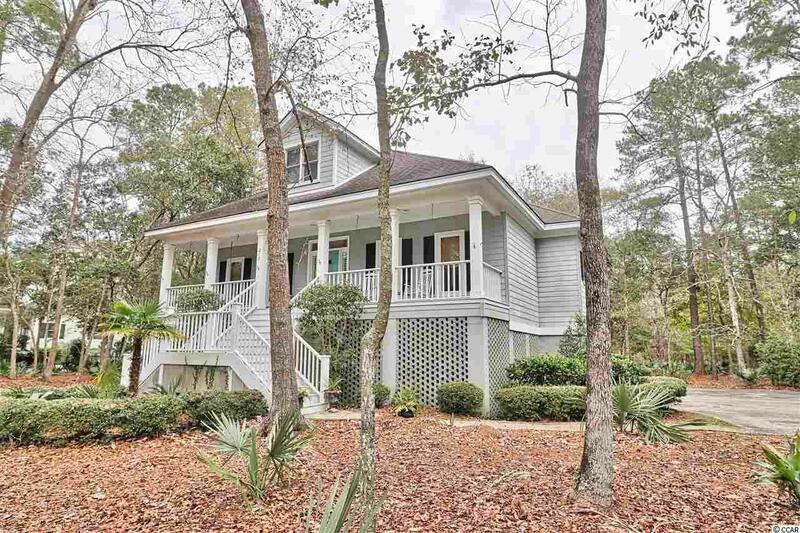 This charming and spacious five Bedroom/5 Full Bath raised beach house is situated on a wooded acre with pond view and offers a peaceful, tranquil setting. 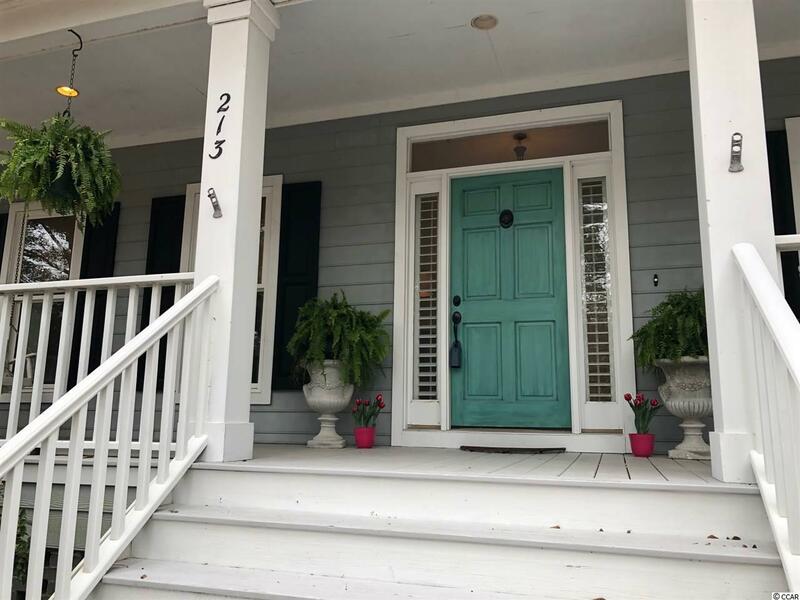 A split stair entry to the large front porch beckons you to swing or rock a while or come inside to the tiled entry which is made bright by the sidelights on either side of the door with plantation shutters. Once inside, one begins to visualize all this home has to offer. Hardwood floors in main living areas, crown and wide floor moldings in many rooms and built-ins in Family Room are just a few amenities. There are two bedrooms with wall-to-wall carpeting off the foyer, each with its own full Bath. Leaving the front area, one enters an open floor plan which encompasses the Family Room, Dining Room and Breakfast area. The Family Room offers a wood-burning fireplace with slate hearth and decorative wood mantle with built-in cabinetry and bookcases on each side. French Doors from the Dining Room lead to the deck which overlooks the tranquil back yard and pond - perfect to enjoy what nature has to offer. A spacious Kitchen with white cabinetry, Corian countertops and double sinks, new stainless steel appliances, wine refrigerator, tile flooring, two sets of double windows, a large Pantry and Breakfast Bar offers lots of room for the cook to spread out and is open to the living areas. The openness of these areas is perfect to entertain and partake in the gatherings. Access to Laundry Room and to lower level is found off the Kitchen. 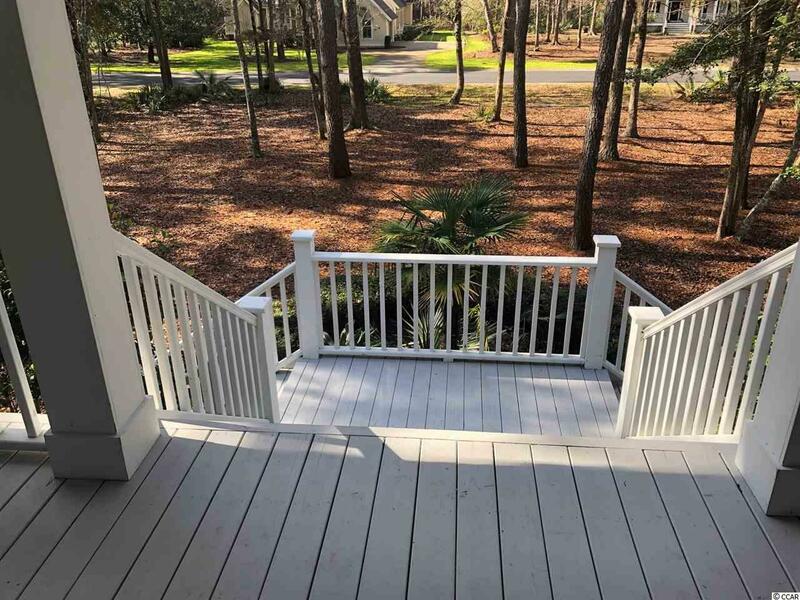 A Master Retreat has wall to wall carpeting, two closets (one a walk-in) and French doors leading to your own private screened-in porch overlooking the rear property. The tiled Master bath has a dual sink vanity, soaking tub with window and plantation shutters as well as a tiled shower with glass door. A wide hardwood staircase with painted risers accesses the second level. Once upstairs there are two Bedrooms with wall-to-wall carpeting, closets and ceiling fans. In the carpeted hallway is a full bath with a glass door enclosed shower over tub and a vanity. Beneath the home there is plenty of space for two or more cars, two boats, your golf cart and much more! This area also offers a full Bath to rinse off from a day at the beach and two workshops/storage areas. The residents of DeBordieu can join the Pete Dye designed golf course. Amenities also include tennis, fitness center, pools, boat landing with access to North Inlet, fishing, fine dining at the golf club and casual dining at the oceanfront Beach Club and Tiki Bar. -For those looking for an investment, Debordieu allows vacation rentals! -The price of this home reflects the updating that may be desired by the new owners so come add your ideas and touches to make this home your special and "loved retreat!